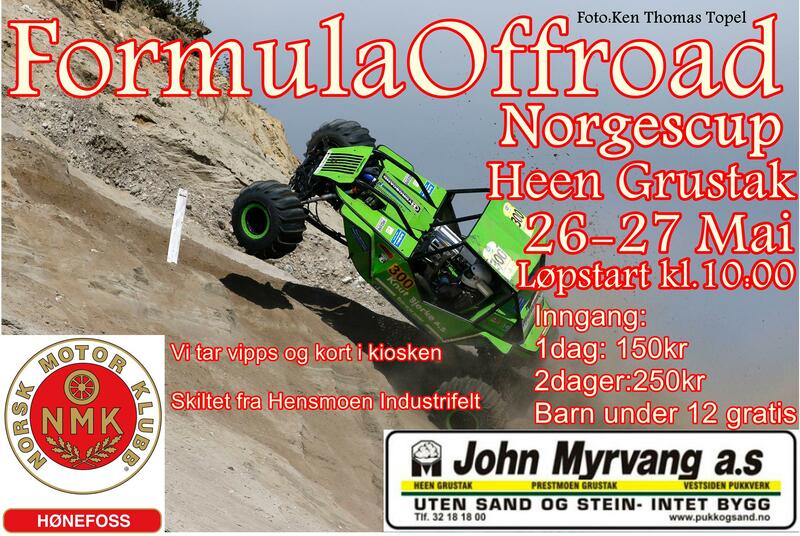 NMK Hønefoss organizing a Formula Offroad race for the first time. The race will take place in Heen Gravel pit, Nymobakken 34, 3516 Hønefoss. 26 – 27 May 2018. Information in English: The Race area is ONLY 1 hour from Oslo Gardermoen Airport! So there is no excuse for not come to Norway and Hønefoss to visit this fantastic race. Then Father and Son, Roger and Kevin Fossen are enrolled! The boys share car, Kevin runs Modified and Roger runs Unlimited. Roger had a hefty rollover on the time course last weekend at Matrand, resulting in a very skewed cage. But now the guys started to build a new roll cage, so it is just crossing all fingers that they get the car completed. The car guys run is called Mad Croc and has a Chevy LS1 and turbo of about 800 hp. Then another participant from Sweden is enrolled. Jimmy Berggren runs the car T-Rex, which he borrows from Eric Nilsson for this reason. 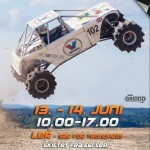 It will be interesting to see Jimmy tame T-REX uphill in Hønefoss. T-Rex has a Chevy 468 Big Block of approximately 600hp and 200hp in nitrous oxide (NOS). T-Rex has been in the game since 2002 !! Then Kenneth Doolewerdt is registered. Kenneth runs a turbo fed LS2 with 660hk in the class modified. 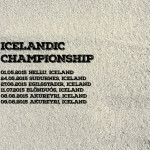 We have the first Icelandic contender to our race. Jóhann Freyr Egilsson will drive Toro’s car, Ugly Betty, on Sunday. 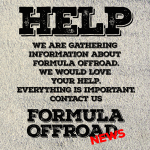 Formula Off-road had it’s birth in end of the 60’s on Iceland, and the purpose with this race was fund-raising to the local rescue team. And today it’s one of the worlds most extream Off-road race on the planet! Fredrik Døsrønningen is quite fresh and make his debut with us! Fredrik runs the Wildbull car with a Vortec turbo of 6l with approximately 600hp in the Unlimited class. Mikal Storflor Johnsen from Trondheim Motorsport is registered with his car Pegasus. Pegasus is a very pretty and relatively newly built car. In Pegasus, it is the Big Block with nitrous oxide. We are looking forward to seeing Mikal try to tame Pegaus up our slopes. Marius Feel the car TurboTroll from Trondheim Motorsport. TurboTroll is under construction and this picture was taken yesterday, we expect Merk to finish in gooood time before the race. Then Jarand Change Pettersen is signed up. Jarand is a newcomer to Formula Offroad in his newly purchased car, Madmax. It is rumored that there is a Chevy LS with compressor on its way into this car as well. Then Jimmy Rene Pettersen who runs for NMK Tynset is enrolled. Jimmy is driving the car, Scarface ice 2 Insane, the class unlimited and maybe driving the class’s most awesome car! We know that TurboDuck has been getting big upgrades this winter and it’s now an even bigger and hotter turbo than he had last year! Joakim runs for KNA Telemark and he always goes all-in! Then the first Swedish driver and the car are registered. Kalle Sundbring runs a legendary car, this car has been in the game for over 20 years !! Then the first modified car is registered. Jørgen Paulsen is the ruling NEZ Champion in Modified and runs for NMK Arendal. Jørgen runs with a Chevy V8’r with nitrous oxide (NOS). Then the ruling NEZ Champion and the big Diva, Tor-Egil Thorland from Trøndelag, signed up with the car “Ugly Betty”. Thor-Egil goes by the nickname “Toro”, and Toro always makes a lot of shows in the ground. Jørgen Herland from KNA Telemark in his newly built car Cliffhanger. Jørgen runs a relatively newbuilded car in the Unlimited class with a Chevy Small Block with nitrous oxide. The first registered participant is Øyvind Svendsen. Øyvind runs in the Unlimited class with the car “Knerten” and the car has a 5.3L turbo engine!